I love the questions we get. Not because the questions are laughable, but because they have to be asked because the funeral industry, in an effort to make things sound less ”morbid” or ”frightening” has gone a long way to make very simple things complicated. Granted, maybe this particular one has more to do with the field of design, but it sill makes me smile. While we are at it: The use and design of fabric within the coffin is known as “Trimmings.” Yet rather than trimming say a tree or a turkey, you are trimming the casket or furniture. This entry was posted in blog, buy a casket, death, death conversation, funeral planning, mourning doula, pre-planning, protect yourself, when a loved one dies. Bookmark the permalink. 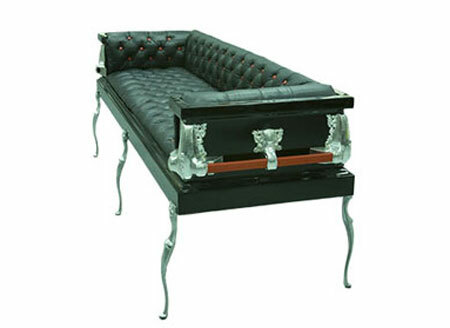 ← Do You Have to Purchase Your Casket From The Funeral Home?